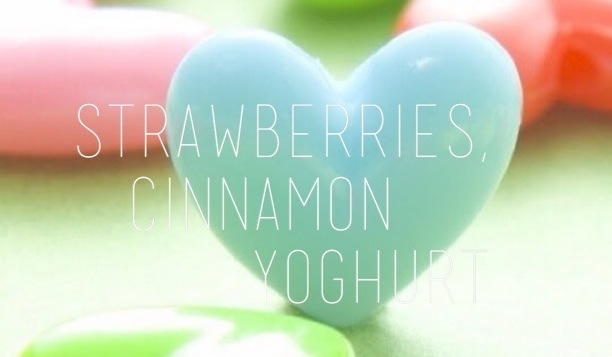 I had some strawberries that were starting to go to the dark side so I thought I’d add some to my greek yoghurt today. 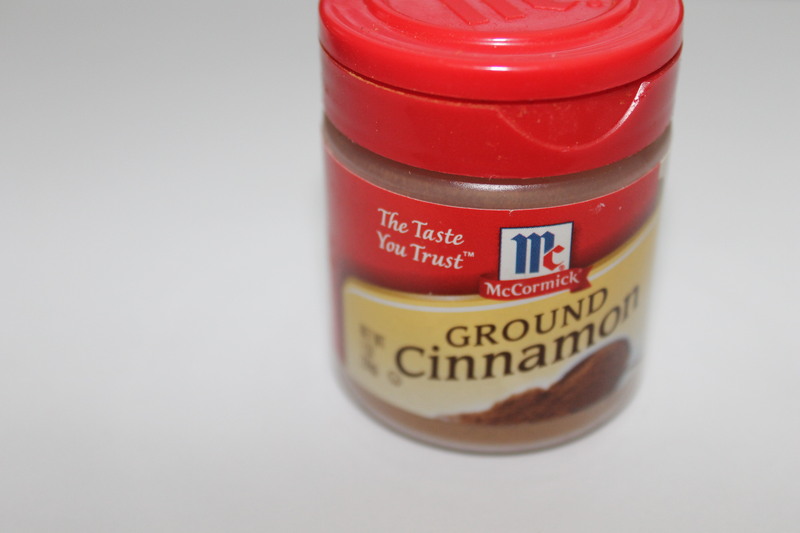 I also like to add cinnamon to a lot of things because it smells and tastes amazing, and it has numerous nutritional benefits. I was dealing with a low immune system and some related health concerns last week and it really made me wonder how much we can help cure and protect our bodies with food and natural remedies, rather than taking medicine, namely antibiotics. The misuse, and overuse of antibiotics is creating superbugs, and it scares me to think that they may not work one day when we really need them. 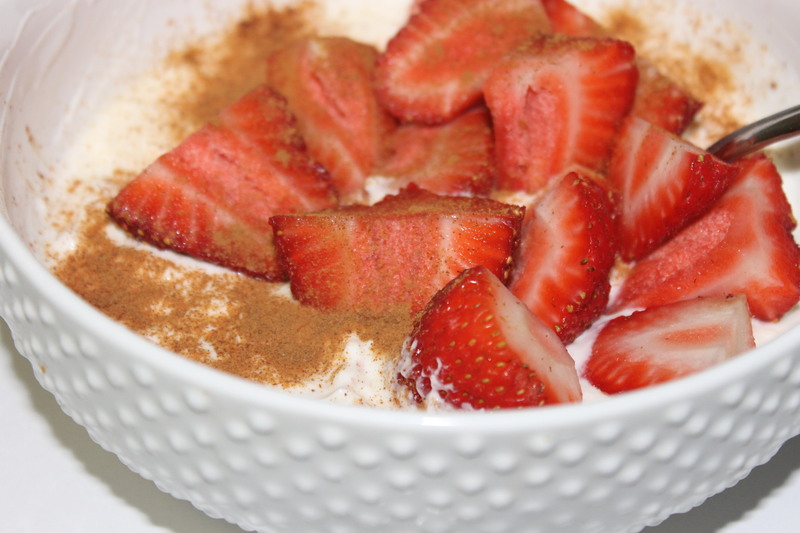 I used a plain Greek yoghurt that was 140 calories, with a few cut up strawberries and sprinkled cinnamon on top. I think overall this would only be about 200 calories, which is pretty decent for a very filling breakfast, or snack. 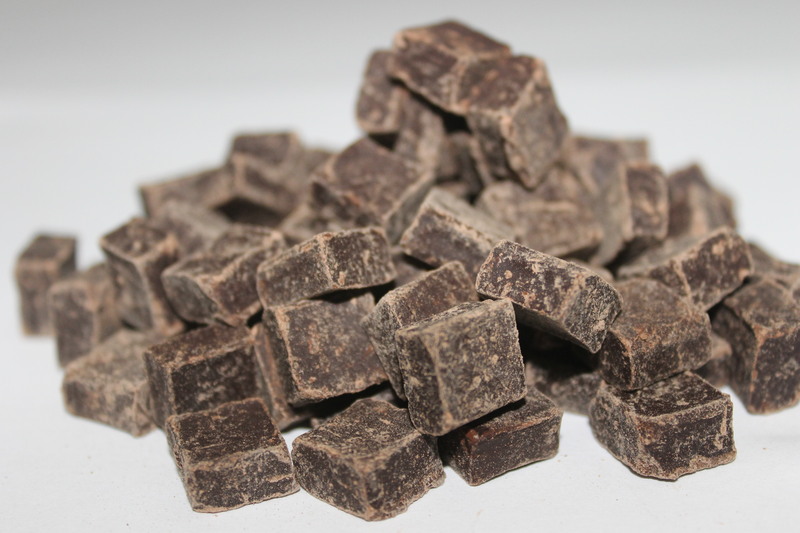 Contains fiber, calcium, iron and manganese. It has the ability to kill certain bacteria, fungi and parasites, and it is used in food preservation. It helps your digestive system, especially if you have an upset stomach. 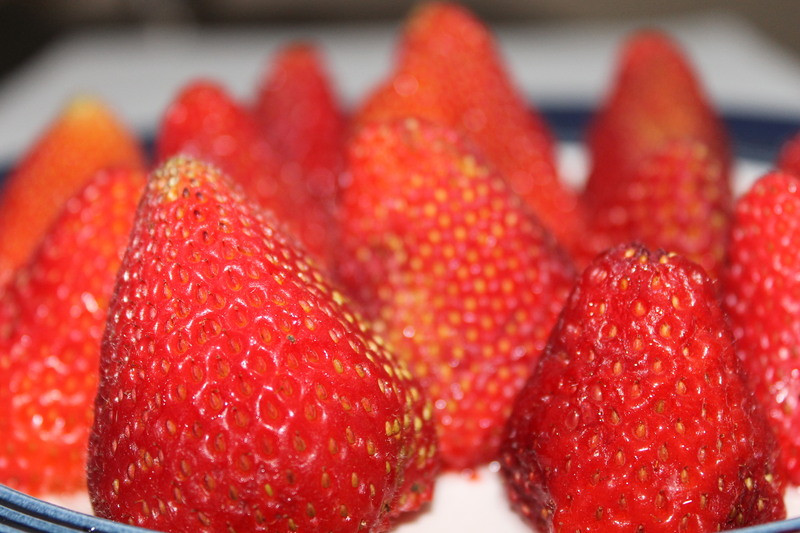 It regulates blood sugar level, which is especially good for diabetics. It can also aid in weight loss by slowing down the body’s process of breaking down glucose. I’ve also been trying my hand at making different kinds of healthy desserts that I can serve to my sister-in-law and her husband who have been vegan for over a year now. I’ve tried making vegan cupcakes, and rum balls at Christmas time which turned out pretty good. 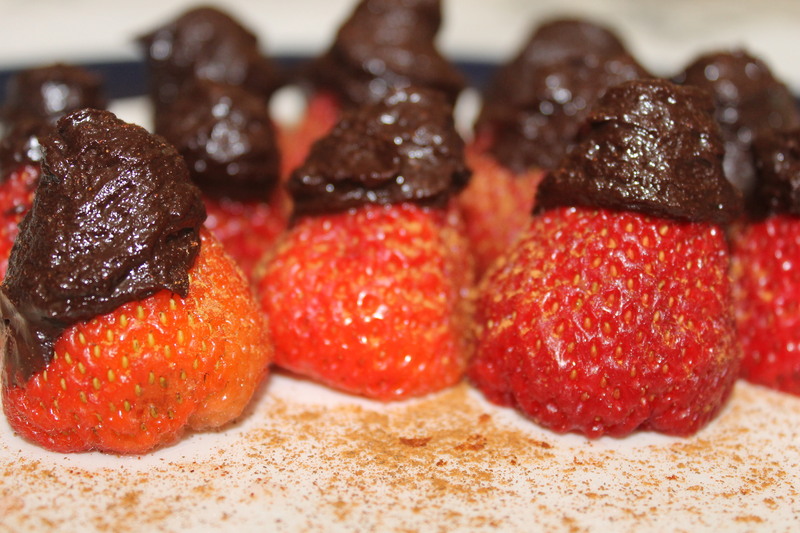 Today I just made a very basic dessert of strawberries and bananas with cinnamon and dark chocolate (no dairy). 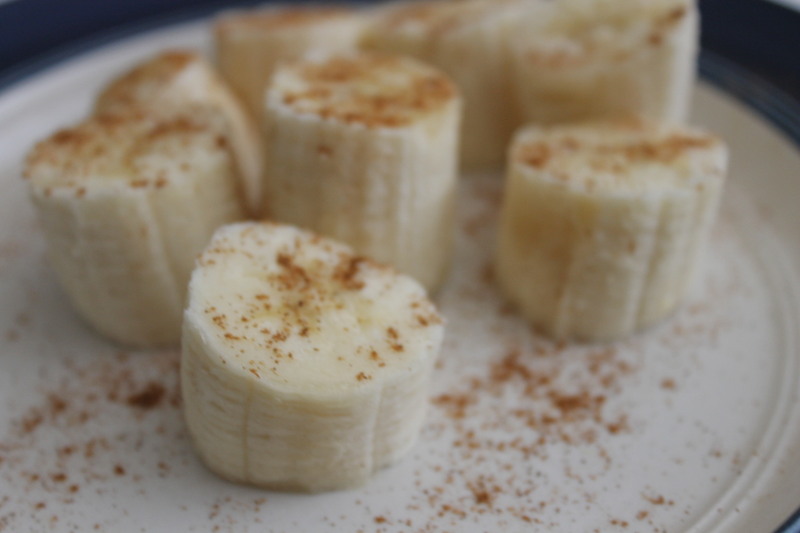 The cinnamon once again kicks up the flavor and just makes it a simple and easy little dessert to have at family get-togethers. So as you can see it’s nothing that’s going to change any lives here, and nothing that probably hasn’t been done before. I did think adding cinnamon gave it a nice twist though, but it depends on whether you like cinnamon or not. I also love to bake peaches and pears with cinnamon, and some honey. Peaches and pears aren’t fully in season yet though so I also used up some bananas that were getting too ripe. I just used the same basic idea again. Nothing to write home about. 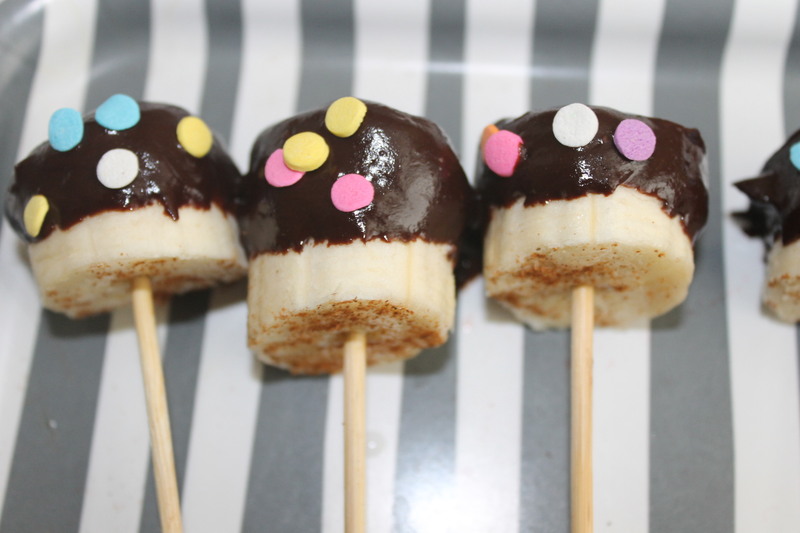 I sprinkled cut up banana pieces with cinnamon first, and then dipped them in the melted chocolate. The melted chocolate by the way was just dark chocolate squares melted down with a bit of water. I didn’t want to add any more sugar to the mixture. 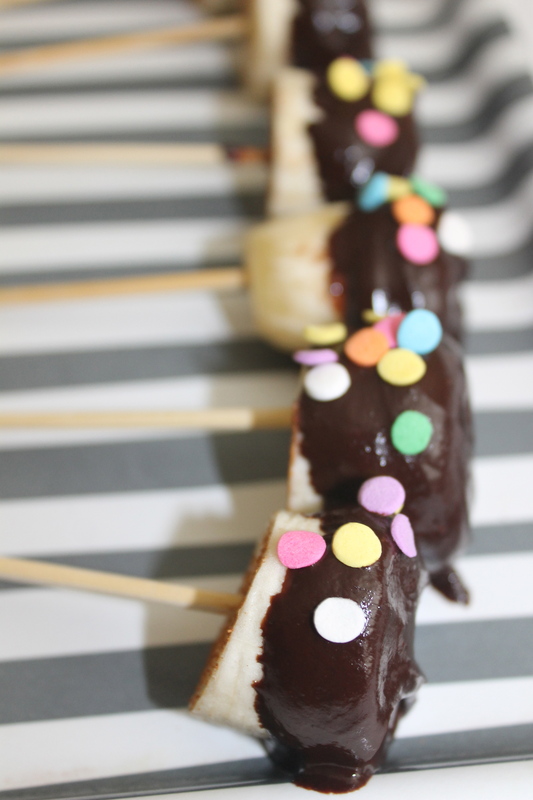 Bananas are very squishy as you know and hard to deal with so I used sticks to hold them up. It’s easier for people to eat them too. 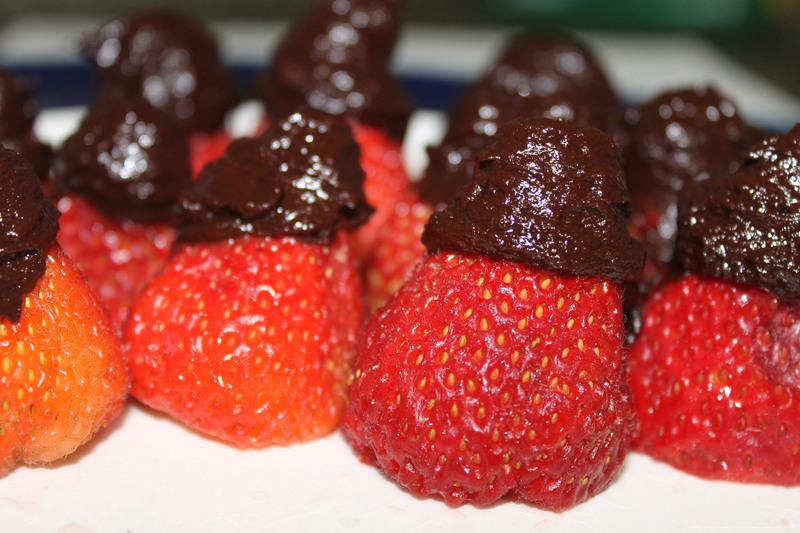 This would also be a good idea for kids birthday parties to have some healthier alternatives. Sprinkles definitely make them look more festive and fun. You could decorate them however you wanted with assorted sprinkles, nuts, or even edible glitter.